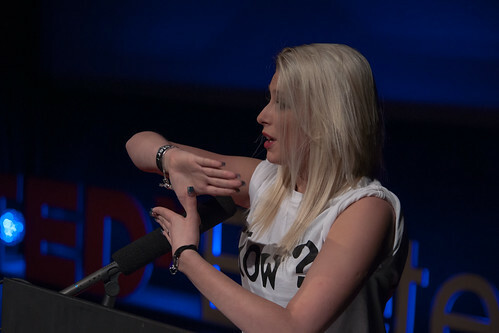 The TEDxExeter launch party 2017 welcomed previous TED speakers Carrie Clarke and Abbie McGregor to share their experience of preparing for and speaking at TEDxExeter, and the impact that it has had. 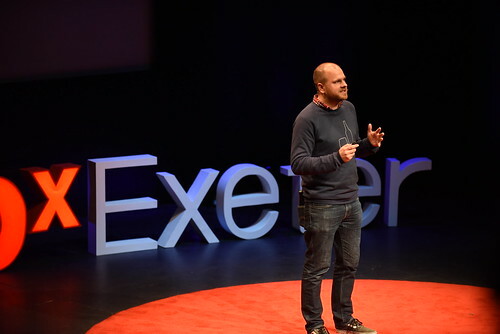 Here we share their talks, including the anxiety, optimism and transformational power that is TEDxExeter. 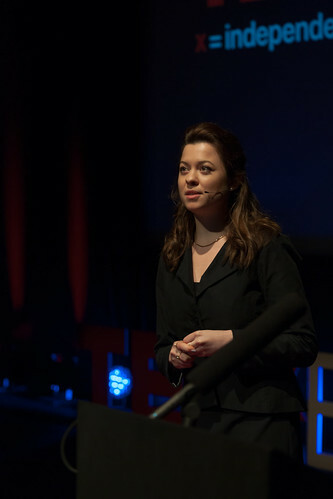 Back in the Autumn of 2012, when Claire first came to see me to discuss the possibility of speaking at a TED event in Exeter, I had never heard of TED talks. In my naivety, I thought that she was simply asking me to give a talk about dementia, and that I could roll out an existing power point for the occasion! When the realisation dawned on me, I tried suggesting to Claire that I had colleagues who would be much better at this sort of thing…but she was having none of it! Confession number two – public speaking has always been one of my biggest fears. How was I to reconcile this with the enormity of the task of preparing, let alone delivering a TED talk? 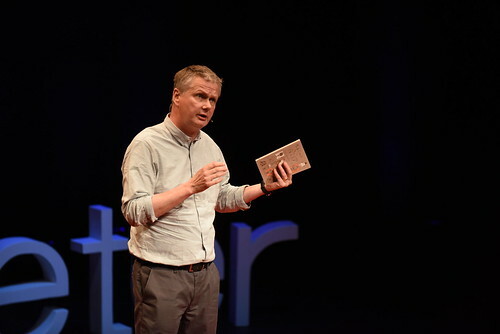 Looking back, I think there were several key ingredients: Firstly, Claire and the TED team took a massive leap of faith in inviting me to be a speaker. Secondly, they provided support and encouragement with unfailing optimism through the months of preparation. And thirdly, they believed that the passion I have for exploring creative and compassionate ways of working with people with dementia would give me the belief in myself to share this more widely. The day itself passed in a blur, fuelled by the incredible energy and buzz of everyone present. 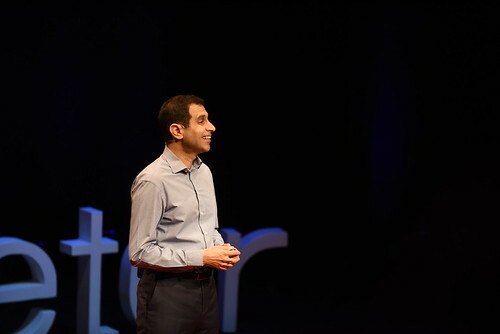 I still find it hard to believe that I actually gave a TED talk, but 4 years later, I am so grateful and proud to have been given that opportunity. Now, whenever I’m asked to speak on the subject of dementia, I always tell myself that if I could speak in front of 500 people, whilst being filmed on the red circle under the spotlight, then I can do anything! 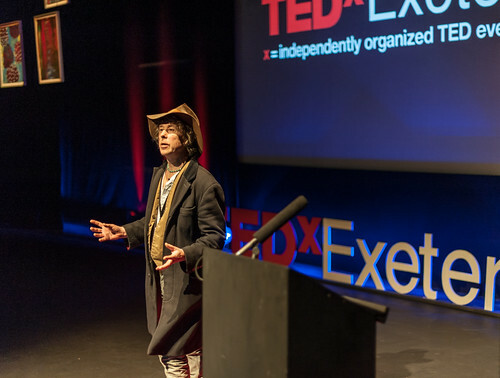 Speaking at TEDxExeter was rather like throwing a pebble into water; the ripples continue to spread and reach new and unexpected shores. 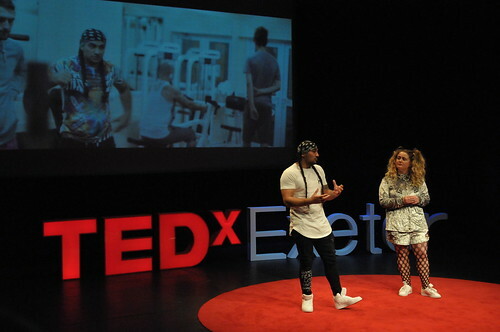 Connections made at TEDxExeter have resulted in professionally-led photography workshops for patients at the hospital, public exhibitions, print-making sessions which have filled the hospital with witty and colourful images, and a strong collaborative relationship with our hosts tonight – RAMM. 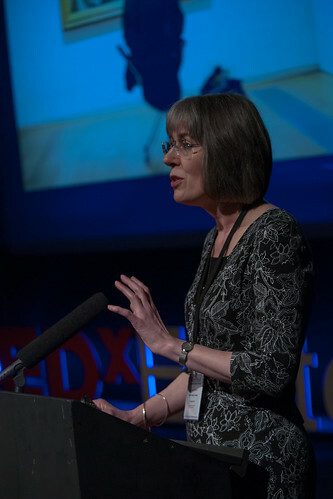 My interest in and passion for exploring creative ways of accompanying people on their difficult journeys with dementia has been given credibility by association with TEDxExeter. Because most people, unlike me back in 2012, know about TED talks, and they remain a go to place for inspiration and motivation. Building on this, in 2015 I began a clinical academic Masters programme in Psycho-Social Studies at UWE in Bristol, which I hope to complete this summer. This has been a wonderful opportunity to deepen my understanding of the complexity of dementia, and contribute to the evidence-base for effective non-pharmacological interventions. Only this morning I was here at the museum, using an innovative participatory research method to gather the views of people living with dementia, whose voices are so hard to capture using traditional research methods. Research completed last year has been accepted for publication, and I’ll also be presenting this at the First International Conference on Arts & Dementia Research at the Institute of Public Health in London in March. I’m now seeking funding to begin a PhD later this year, which will continue to explore ways towards a more compassionate, creative and cultural model of care for people living with dementia. Although it may be a cliché, I would like to thank Claire and the team for believing in me. 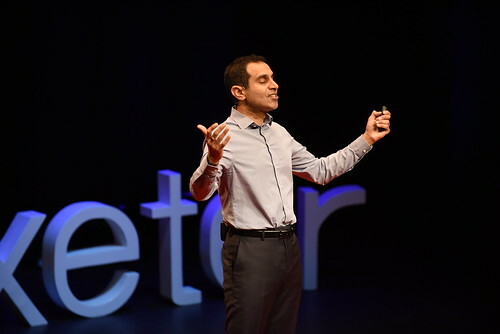 And to all those of you working hard to prepare for your 2017 TEDxExeter talks, I’d like to wish you well; be brave, be passionate and help create hope for a more compassionate and connected world. 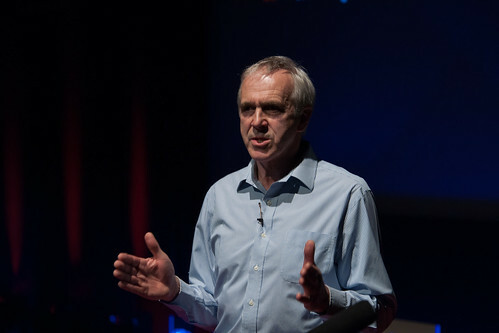 Some of the speakers at TEDxExeter 2016 very kindly gave more of their time during their visits to Exeter. Anna Frost called in at a number of schools, the City Council, and went for a short (for her) outing with some local runners. 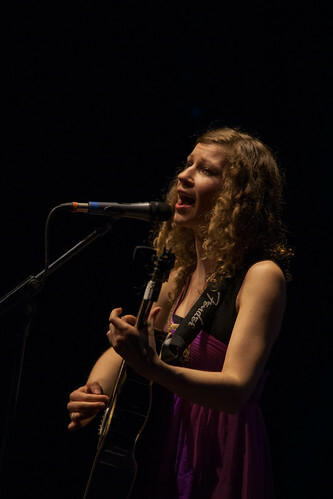 Her whistle-stop tour was arranged by Tobit Emmens, member of the TEDxExeter production team, and speaker at TEDxExeter 2013. He has written a guest blog for us. The children, all 400 of them, as well as the teachers, drew a collective breath when Anna Frost told them how long it took to run the Hardrock100, one of the hardest ultra marathons in the world. 27 hours, two sun rises and lots and lots of food. Anna, who many in the sport know as Frosty, was at St Michael’s Primary Academy, Heavitree, to talk to the children about being curious (what was over the next mountain? ), adventurous and brave. The children were enthralled, amazed and inspired. One pupil said to me: “it was so inspiring to meet a real life superhero”. After assembly, Frosty led an activity session for members of the school running club, with relay races, wheelbarrow races and a lesson on how to cure a stitch. Iain Randall, deputy head of St Michael’s, was delighted that Frosty was able to visit: “we often talk to the children about people who do amazing things and how they can act as role models, but to have one visit and work with the children was brilliant”. After St Michael’s, Frosty visited St Luke’s Science and Sports College. There she met more primary school children from across the city on a sports Gifted and Talented programme. The children had been learning about pacing, and endurance. They were delighted to meet and listen to Frosty, who gave a short talk on how she started running, the ups and downs and the adventures she has had. This was followed by a Q&A session, and then it was outside for an activity session: a warm up and ‘long run’ around the field to put some learning into action. In the afternoon, it was the turn of grown ups! A small group of local runners met at the Four Firs carpark, for a 15 mile run on Woodbury Common. For the local runners who took part, it was fantastic opportunity to run and quiz Frosty on everything from what she eats, how she trains, how she prepares for an ultra marathon, what it’s like to be a professional athlete, why she doesn’t use GPS activity tracking, the role social media has in professional sport, and what she plans on doing next. Anna also met with representatives of Exeter City Council’s rugby world cup legacy team. Frosty gave some valuable insights on some of the challenges of bringing professional athletes into mentoring programmes. 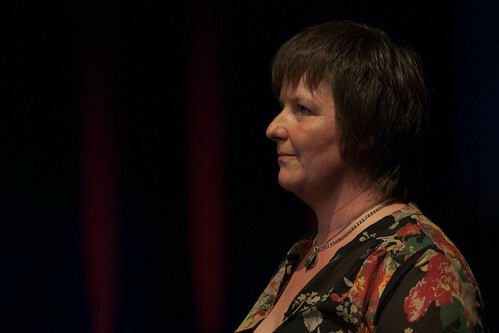 At TEDxExeter 2013, Carrie Clarke spoke about what we can still do for people with dementia, to strengthen their sense of belonging and their connection to place, people and each other. We learnt of the importance of design of the physical environmental of care centres, and she described the refurbishment and new garden being created at Franklyn Hospital in Exeter. She also told stories of how creating paintings together with artists had brought healing to people. Artist Simon Ripley from Double Elephant Print facilitated a number of these sessions at Franklyn. He created work both in advance of the sessions, to spark the people staying at the hospital at the time, and after in response to their work. 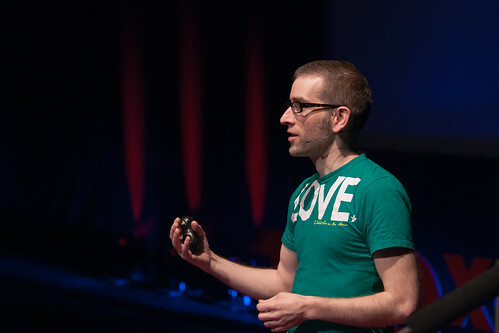 Examples of Simon’s work were hanging in the Exeter Northcott Theatre’s auditorium during TEDxExeter 2013. On 28 August, yours truly the TEDxExeter Storyteller was able to go to the opening of a thought-provoking exhibition in the Family Room at Franklyn, featuring work by former and current patients, and two of Simon’s prints. Numbers were small, but we – staff, relatives of former patients, Double Elephant – had some profound conversations. We were also able to see the garden, a beautifully-designed sensory space that looked absolutely stunning in the evening sunshine. Please see the photographs below. 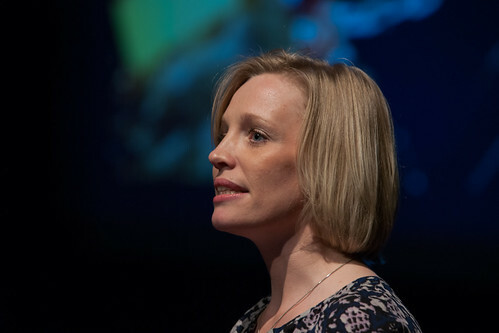 At some point during the evening, Carrie told me briefly about how she was working with the Royal Albert Memorial Museum in Exeter, a collaboration that arose from a connection made at TEDxExeter 2013 with Camilla Hampshire, who spoke about RAMM: Home to a Million Thoughts. The following are Carrie’s words. For more information about the Fund she mentions in the last paragraph, please contact Carrie. 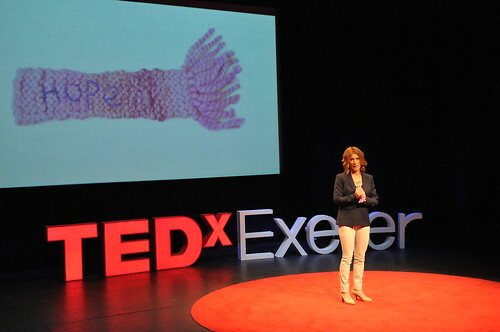 With regards to collaboration with the museum: following TEDxExeter 2013, I made contact with Camilla to discuss the potential for any collaborative work. She put me in touch with Ruth Gidley, their Community Participation Officer. Ruth has been working hard on developing the museum into a more ‘dementia friendly’ venue, and as part of this has been collaborating with various local organisations such as Age UK and Innovations in Dementia. Through this contact, I was invited to speak at RAMM’s ‘Collaboration in Practice’ conference last November, which in itself brought about some more useful contacts. In May Ruth and I attended a workshop in Bournemouth delivered by staff from the Museum of Modern Art in New York; they have been running a successful programme for several years now called ‘Meet me at MOMA’. This is a structured art discussion group for people with Alzheimer’s Disease or other dementias and their carers, each session looking at approx 6 paintings with a common theme. Ruth has set up a pilot project based on the MOMA approach, using their latest exhibition ‘Detached and Timeless’. I have today just got back from taking one of our service users to the session, which was excellent; it has given her a stimulating experience and provided her with something to talk about when her family visit. She commented that she would very much like to take her grandson to the exhibition, because of his interest in art. So for this particular woman, it was a great way of enabling her to feel more connected with the world around her, and will hopefully also be a point of connection with her grandson. Ruth and I have also had some discussions about two other potential projects: 1. bringing quality photographs of the paintings form the exhibition to run a similar session at the hospital (thereby enabling more people to participate) and 2. Developing outreach sessions from the museum, using a collection of objects based around the theme of seasons. There’s an interesting link between handling objects which provide a range of sensory experiences, and how this can stimulate memories and possibly create new neural pathways. It’s what I touched on briefly in my TED talk: the sensory-emotional link. We are then considering creating some audio books made by the individual participants (Ruth has experiemented with this already), and also the potential for using stop-motion animation as a creative way of capturing some of the stories which arise from the sessions. I’ve been using stop-motion animation with our service users for a while now, and it’s an amazing therapeutic tool! I’ll be speaking about my work at the Bristol Encounters short film and animation festival next week. If this approach proves effective, we will look at applying for funding to run a larger scale project, commissioning professional animators to work with us with a possible big screening at the museum. But that’s a long way off yet! As a result of the museum conference, I was approached by a photographer, Ruth Davey from Stroud. She has recently facilitated a photography workshop with a group of service users at Belvedere [unit at Franklyn] in our new ‘Beautiful View’ garden. The process itself was very beneficial in terms of enabling sensory experiences, providing a space where people could express themselves creatively, and stimulating some fascinating story telling. And the end results were amazing! They will form our next exhibition at the hospital, and I hope will also be shown more widely. This workshop was funded through the Margaret Whitaker Therapeutic Art Fund. Margaret’s daughter Carol set up the Fund in her mother’s memory, because she was so grateful to see her mother re-engaging with her love of art during Simon’s sessions run at Franklyn, and Carol saw the joy it brought her in her last few months. So that’s a wonderful legacy, with which we hope to continue to provide stimulating therapeutic arts activities at Franklyn. 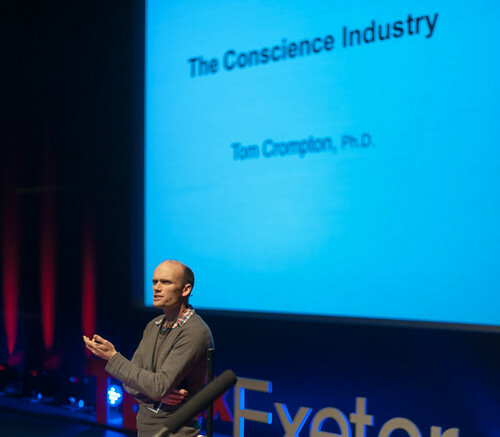 The third of our short series of stories from speakers and attendees at previous TEDxExeter events. Holly was one of a school party at TEDxExeter 2012, and loved it so much she returned with a friend during half-term in 2013. 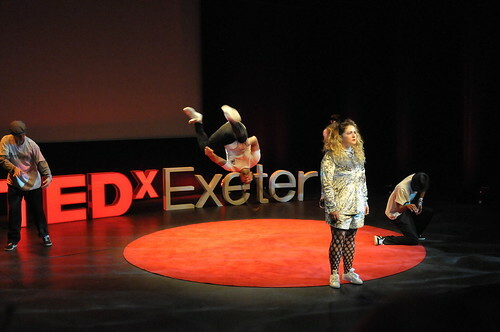 After our visit to the first TEDxExeter in 2012 on a school trip, Hollie and I knew that we would be going again in 2013. The buzz of the day was outstanding; excitement, inspiration and ideas coloured every conversation after the talks. Whilst every talk in its own right was wonderful, a few stood out, sitting in my mind nearly two years later. The first, a breathtaking 10 minute talk by Bandi Mbubi entitled “Congo calling”. Delivered in a calm, yet persuasive manner, Bandi talked about the need for a “fair trade cell phone”, and how, whilst the mobile phone is an “instrument of freedom”, it has also become an “instrument of oppression” due to the lack of regulation of mining in the Congo. Another presentation that stuck with me was “Making greenhouse gases visible” by Antony Turner. Antony spoke about applying the common concept of pictures helping stories to come alive to the visualisation of our carbon output. He showed us pictures that his company, carbon visuals, creates in order to allow us to compare our emissions to “a landscape we are familiar with” and truly grasp their size. Upon leaving TEDxExeter 2012 with our minds thoroughly exhausted, Hollie and I set on the task of ensuring a school trip again the next year. 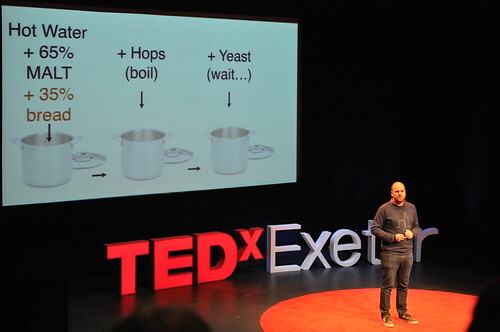 However, when the date was released, dilemma struck – TEDxExeter 2013 was during a half term. So, as a pair of 16 year olds, we decided to take matters into our own hands. With a little help from one of our favourite teachers, we managed to secure tickets for the following year. Arriving outside the Northcott in the early morning, I could feel both excitement and nerves curdle in my stomach as it became more and more obvious that we were the youngest people there. However, as I stepped inside, it became apparent that these feelings were completely and utterly unjust. Upon our entrance, we were greeted and welcomed by staff and fellow audience members alike, and the familiar buzz of what we were about to witness sunk in. 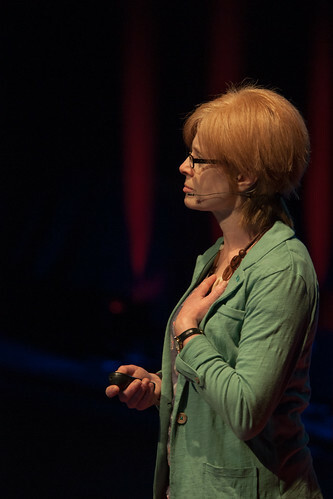 One particular talk stood out for me in the 2013 line up : Jo Berry’s “Disarming with empathy”. After sharing the story of her father’s death due to an IRA bombing, Jo demonstrated the power of true forgiveness. She told us how, in her efforts to get something positive out of what had happened, she was led to meet the man responsible, and how by humanising the enemy, she could finally understand the circumstances leading to the death of her father. When the talk had finished, the audience rose to their feet, giving Jo a deafening and everlasting applause. Since TEDxExeter 2013, the Connecting Communities (known as C2) programme has now spread to India! 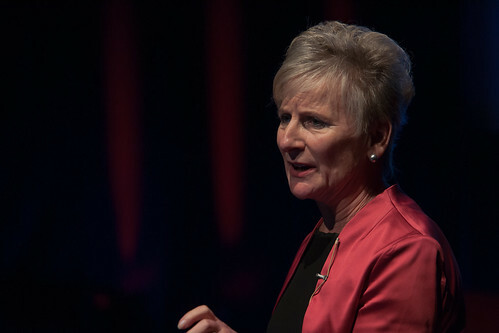 As part of the ‘Community Centred Medicine’ workstream within the College of Medicine, Hazel was invited to speak at the Global Health Futures conference in Bangalore in November sponsored by the World Health Organisation. 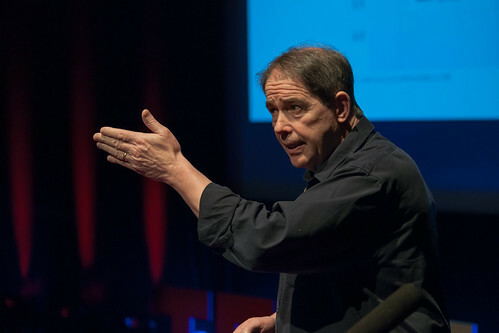 Other speakers included fellow TEDx presenter Sir Jonathan Porritt, Archbishop Desmond Tutu and HRH Prince of Wales. The focus of the conference was to define solutions to tackle the impending crisis caused by the ‘silent epidemic’ of preventable long term chronic disease. C2 has a track record of preventing the health behaviours which lead to these conditions and following Hazel’s presentation,she was invited back to India in 2014 to deliver a 3 day C2 learning programme to equip practitioners there with the skills and mindset needed to promote community resilience and self-management. Karima’s book “Your Fatwa does not apply here” has been chosen by the American Library Association to feature on their Booklist Editors’ Choice list for 2013. The Editors selected titles which are representative of the year’s outstanding books for public library collections. Their scope is intentionally broad, and they attempted to find books that combine literary, intellectual, and aesthetic excellence with popular appeal. 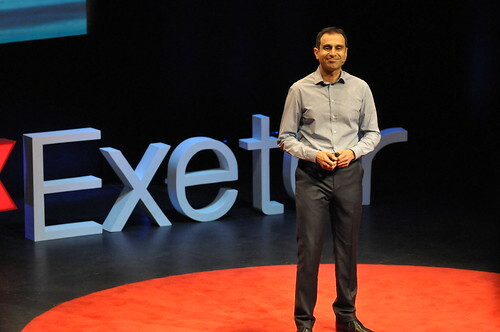 The second of our short series of stories from speakers and attendees at previous TEDxExeter events. Sarah Bird enjoyed TEDxExeter 2013 so much, she volunteered for the organising team and is co-ordinating the volunteers for 2014. For me, the success of TED lies in its simplicity and focus on quality over quantity. We all know that it’s difficult to concentrate for longer than about 20 minutes on one thing, that a picture can paint a thousand words, and that positive, quality communication of a great idea can change people. TED simply brings these ingredients together. 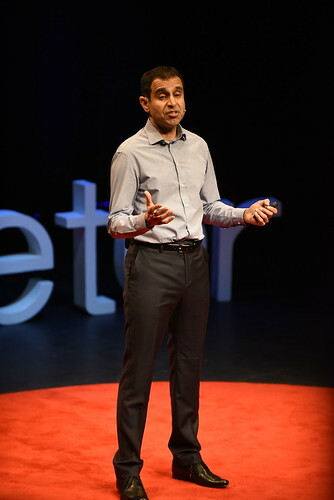 TED and TEDx events also bring together like-minded people and gives them a space where they can share their passion and ignite each other’s ideas like sparks off a block. And when I say like-minded, I don’t mean alike in terms of culture and background, because there are TED aficionados from all over the world and all walks of life. But they are alike in that they are usually open-minded, eager to learn, positive, and ready to change the world. 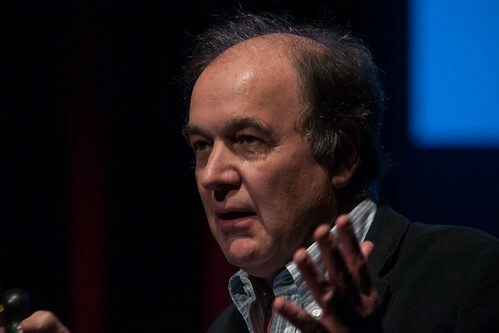 You will meet critical thinkers at TED and TEDx conferences, but you are unlikely to meet many jaded cynics. Cynicism uses up too much energy when you’re a busy person with stuff to do, like sail the world in a boat made from plastic bottles (Jo Royle), or campaign for Fairtrade phones (Bandi Mbubi), or trek to the north pole (Ann Daniels), or grow guerrilla vegetables (Pam Warhurst), or become a community pirate (Kester Brewin). So if you’re reading this with your ticket in your hand for TEDxExeter 2014, you’re in for a treat and I look forward to meeting you there. 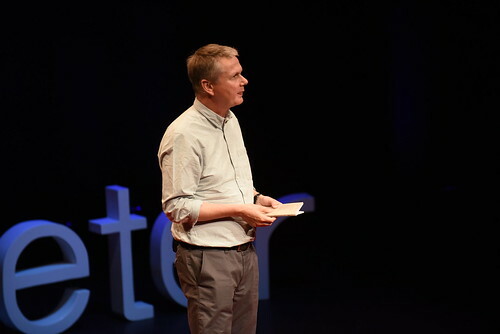 If you missed out this year, join the community anyway by following TEDxExeter on Twitter, reading the live blog from storyteller Clare on the day, and marking the 2015 ticket launch in your diaries now (though you might be ahead of the team on that one). 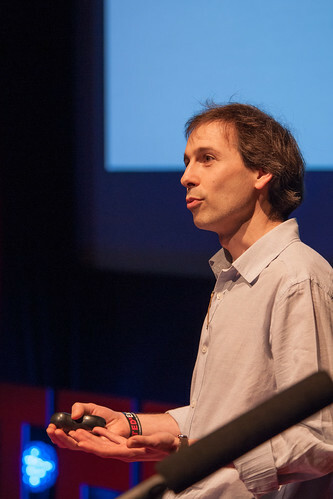 In TEDxExeter 2013, we explored how to live the important questions facing us in all areas of life, including money, business, prosperity, sustainability, the environment, childhood and old age, community, society, science. To help us, we gathered a group of outstanding innovators, activists and performers who are changing the world through their ground breaking work and ideas. 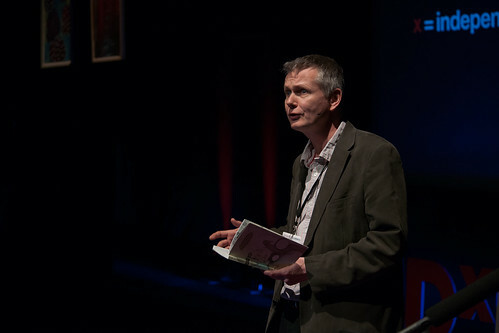 But the opportunity to engage with and be inspired by other attendees was as at TEDxExeter 2012 a major part of the day. * Simon Ripley is an abstract artist working alongside Carrie Clarke. He offers art workshops to patients living with dementia, then creates his own art work in response to the experience. His screen prints were hanging in the auditorium during the day. 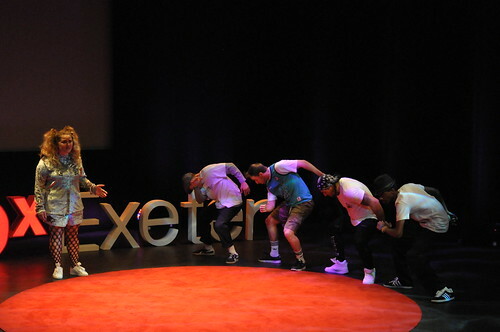 We’re very grateful to our sponsors who made possible “Living the Questions” at TEDxExeter 2013. Please click on their logos to visit their websites and find out more about their products and services. 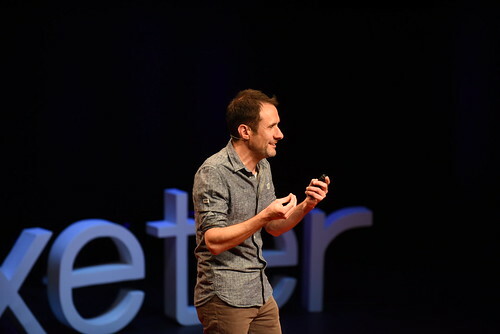 Find out more about the benefits of sponsoring TEDxExeter, and how you can support future events and make TEDxExeter accessible to a wide cross section of our community. At Egremont we help our clients turn good ideas into action. A key feature of our work is to help organisations understand the accelerating pace of change in the world today and what the implications are for the next decade. So, for us, the key question is ‘how quickly can business become sustainable’ not just because it’s the right thing to do, but because commercial economic models will force no other choice. 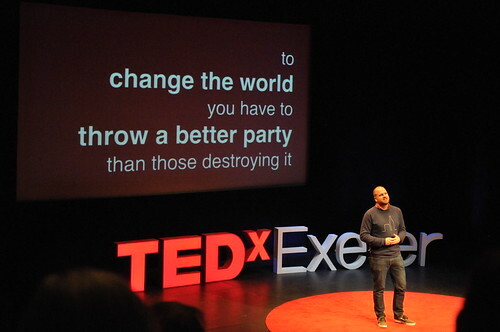 This is why we are delighted to be supporting and sponsoring a hotbed of ideas at TEDxExeter. SunGift is an award-winning, renewable energy specialist, based in the South West, with access to some of the World’s latest technology, we can offer ‘best value’ Solar PV systems designed to suit a customer’s property and budget. We also fit a whole range of renewable energy technologies, from ground or air source heat pumps to solar thermal, biomass boilers, small wind turbines and whole-house sustainable energy solutions. We offer you an all-encompassing package that entails everything from a free initial introduction and survey to project management, job completion, commissioning and after sales service. This makes choosing renewable energy solutions seamless, hassle-free, enjoyable, and simple-to-understand – it’s a complete renewable energy experience. We are a national law firm offering a unique collection of specialisms across the commercial, public, health and insurance sectors. We have offices in Exeter, Birmingham, London, Manchester and Nottingham. Our clients include major insurers, blue chip corporates, NHS trusts, local authorities and other public sector organisations. As a brand we are famous for longstanding client and employee relationships, our straightforward and transparent way of doing business and flexible approach to our client needs. We are proud of our low employee turnover and encourage diversity and individuality in all our people. We are accredited with Investors in People, Lexcel and data security management ISO27001. We are extremely active in the community through our pro-bono work and our community projects. Our ‘greenejacobson’ initiative further extends our sustainability programme, aiming to reduce the environmental impact and increase our awareness of environmental issues. Wilkinson Grant & Co Ltd, proud winners of The Times and Sunday Times Best Small Estate Agency South West 2012, are delighted to support TEDxExeter 2013. We know that our business is as much about the people we serve as the properties we sell and we strive to provide a very personal service tailored to each individual client. Our front-line staff have over 175 years combined experience in the local property market, and work closely with our respected team of Mortgage Advisors, Wealth Managers, Surveyors and Land & Development specialists to provide a complete property service. 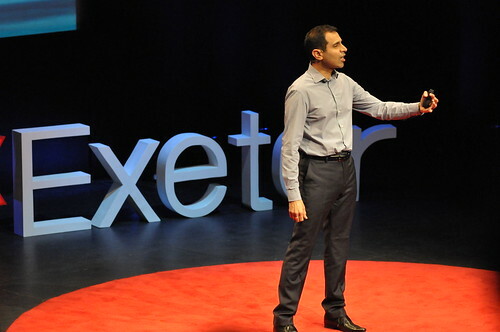 The University of Exeter Business School is delighted to support the TEDxExeter initiative and promote sustainability in Devon and Cornwall. The Business School is committed to the principles and practice of environmental sustainability and runs the internationally renowned One Planet MBA, co-founded with WWF, now in its third year, which attracts students from across the globe. In 2013, the Business School has launched a new Business and Society module, designed to help students open up their understanding of the relationships between business and society through a focus on responsibility. 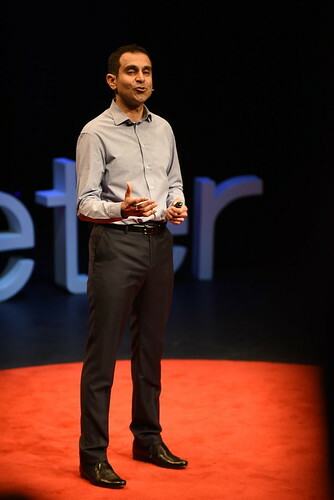 We were delighted to welcome TEDxExeter 2012 alumnus Bandi Mbubi to speak at the launch event on his Congo Calling campaign for Fair Trade mobile phones. Please visit business-school.exeter.ac.uk for further information. 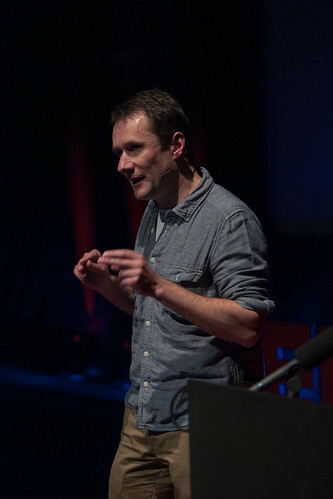 Paul Humphries Architects Ltd is delighted to support TEDxExeter 2013. Award winning architects with a proven track record in contemporary sustainable design. We are a well established Practice, based in Exmouth. Since 1995 we have developed a reputation for good quality design throughout the Region. We bring a wealth of experience and expertise to our projects; and possess a track record delivering projects on time, and budget; and in a sustainable manner. The Practice is a member of the Association for the Environment Conscious Building, wherever possible employing environmentally friendly materials, and endeavouring to produce energy efficient and sustainable projects. We also actively participate in the Environmentally friendly/ sustainability agenda, and we are currently involved as architects working on leading research into alternative and sustainable energy sources, for example, on a Land Based Learning Centre with Embercombe, working with The Embercombe Building Company, University of Exeter, and Devon Action for Renewable Energy. Please visit www.paulhumphriesarchitects.co.uk for further information and examples of projects. 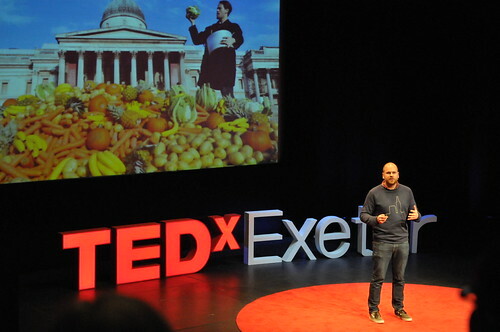 The University of Exeter is delighted to support the TEDxExeter initiative and promote sustainability in Devon and Cornwall. The university is committed to the principles and practice of environmental sustainability in its activities throughout the institution. We have just opened our new Environment and Sustainability Institute (ESI) based at the University of Exeter’s Cornwall campus. This is an interdisciplinary centre leading cutting-edge research into the consequences of environmental change and mitigation and management of its effects. The investment in this centre demonstrates the University’s long term commitment to sustainability. Please visit www.exeter.ac.uk for further information. Websites Ahoy! aims to make it easy for small businesses and community groups to publicise themselves on the web, with good-looking and good-value websites. Our ulterior motive is to help build local communities and support networks. 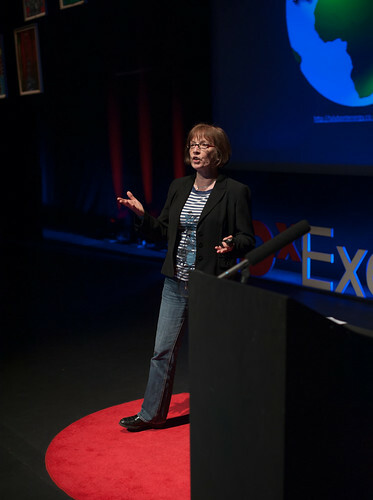 So we are delighted to able to support TEDxExeter through developing and maintaining TEDxExeter.com. 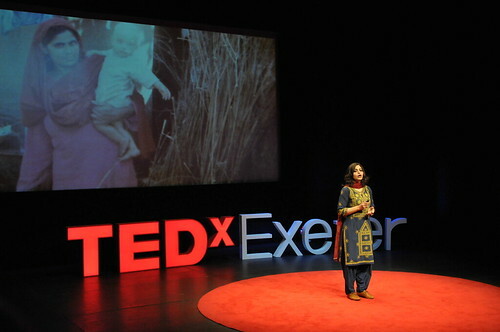 We are also delighted to provide the website for the Congo Calling campaign, which arose out of Bandi Mbubi’s talk at TEDxExeter 2012. For information about our services, please see websitesahoy.co.uk. 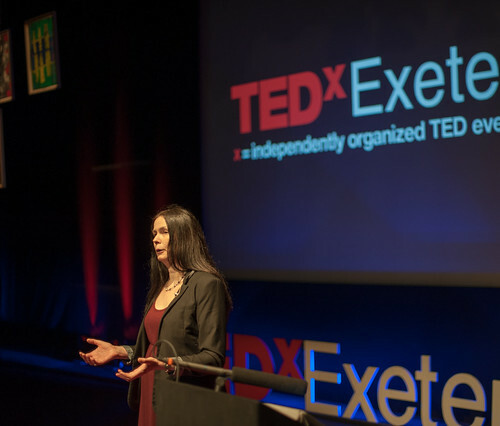 The Magdalen Chapter is delighted to support the TEDxExeter initiative. Located in the heart of Exeter, The Magdalen Chapter opened in 2012. Described by Alistair Sawdays guides as a “contemporary wonderland”, it offers a special experience to those that enter. Within the historic walls, the hotel has been sympathetically restored and revived, showcasing contemporary British designers and a curated art collection. Overlooking the garden, the restaurant is guided by cook and best-selling author Simon Hopkinson, whilst the newly created spa features an inside-out pool, and REN Spa treatments. Stay a while with us, whether it be to check in and enjoy our bedrooms, or relax in our newly-created lounge and bar. We look forward to welcoming you. Luscombe have been making beautiful drinks since 1975. Based on a farm in deepest Devon, all of our drinks are crafted with exceptional care and integrity. “It’s all about the taste”. That’s how Gabriel David, the owner and managing director of Luscombe, sums up our approach to making drinks and we think it shows in everything we do. We source all of our ingredients from growers we trust to ensure we get the best possible produce that’s grown to the highest standards. And when it comes to making the drinks we never compromise – much of the equipment we use has been made specifically for us. Some people say we’re obsessed. We think that’s a compliment. Colourburn is a creative agency with a passion for making stories extra-ordinary through a fresh approach to film, branding, events, installations, PR and social media. We are committed to collaborating with other people who share our values which means we work with the community around us to transform even the most ordinary in to something remarkable. Our experience in creative strategy ensures that ideas are rolled out so effectively, your target audience will be bowled over. Exeter Northcott Theatre plays a vital role in the artistic life of Exeter and the heart of Devon, providing ambitious and exciting performances and opportunities that make a difference to the lives of the broadest community possible. Our beautifully designed theatre is a favourite of UK touring companies, who value the enthusiastic response they always receive from Exeter audiences, and we host the finest middle-scale touring drama, opera, dance and family theatre that the UK has to offer. 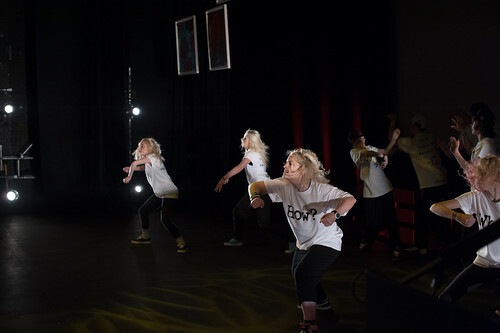 We place a high value on offering members of the community the chance to take part both on our stage and in their schools and communities, and we also play a key role in developing the workforce of the future by offering training and career development opportunities across the breadth of our work. 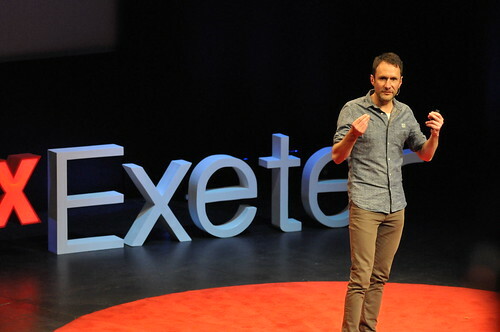 We’re delighted to be hosting TEDxExeter’s 2013 conference ‘Living the Questions’. Benjamin J Borley is a photographer and film maker based in the South West. As well as exhibiting regularly his work is featured in the online collections of the Walker Art Centre, Texas, The Photographer’s Gallery, London and Vogue Italia.